Today we have a little treat for you – a Jersey City treat. 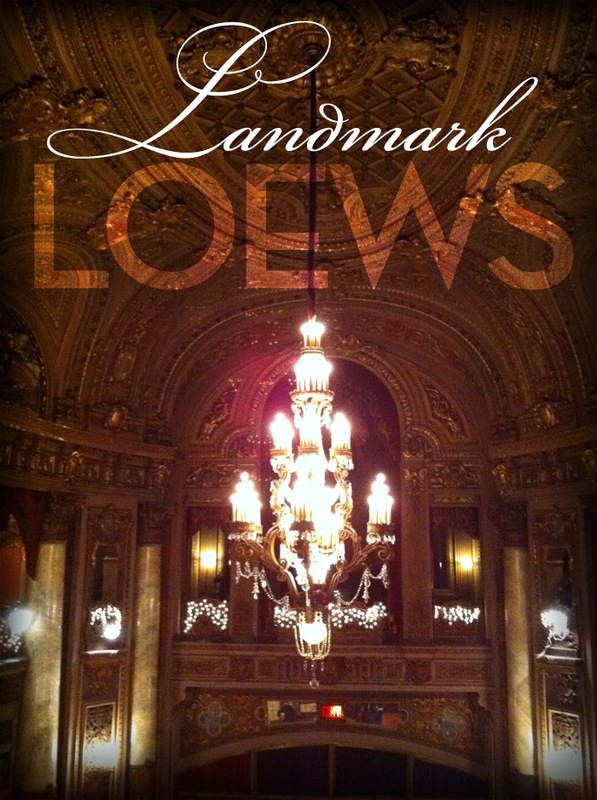 On a recent outing with some friends, our friend Justin waxed poetic about the Landmark Loews Theatre in Jersey City. He went as far as to say it was his favorite place in New Jersey. Well, it might now be one of mine. Opening its doors in 1929, the Landmark Loews is more “Movie Palace” than “Theatre”. It is a decorative masterpiece that seats over 3,000, complete with balconies and broad, winding staircases. And they still show films there. You can check out the full schedule here, but I went for a viewing of Beetlejuice, which I haven’t seen in forever. Let me tell you, both Beetlejuice and the Landmark Loews have something in common: they stand the test of time. It was quite an impressive experience to watch Tim Burton’s 1980’s humorous horror flick in this film cathedral. 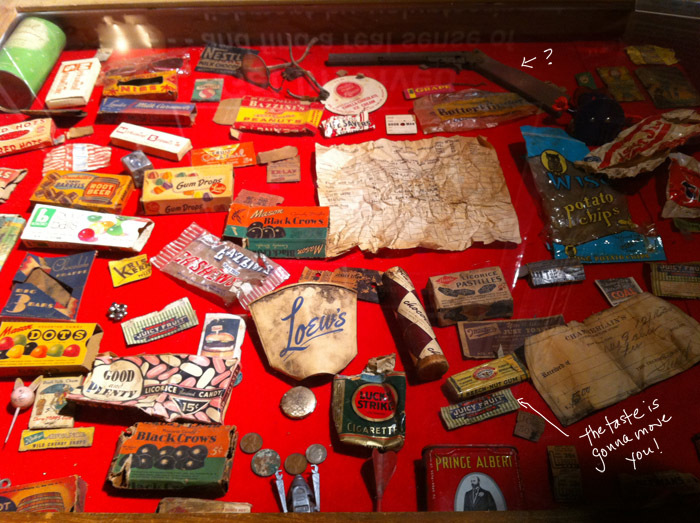 It even has a display case filled with vintage candy wrappers! 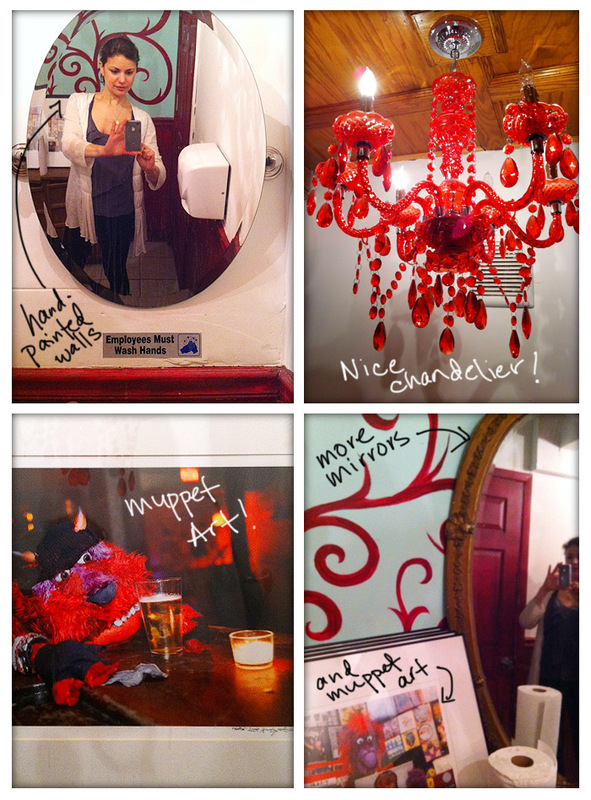 Food, design, crazy decoration and 1980’s flicks all in one outing – I could barely contain my glee! In fact, I didn’t contain it, and was bouncing around the place like a child hepped up on old-school Root Beer Barrels. Justin also mentioned an Indian restaurant in the vicinity that we should check out called Sapthagiri. 1. I don’t know that much about Indian food. All the food we tried was excellent: well-prepared, plated, and demonstrating a wide range of tastes from sweet and mild to spicy and tangy. And the people were incredibly nice. And I am referring to BOTH the waitstaff (who brought us bonus mango-yogurt drinks) and the patrons (a nice Indian family seated next to us offered to help us out with the menu and point out all the good stuff – SCORE!). 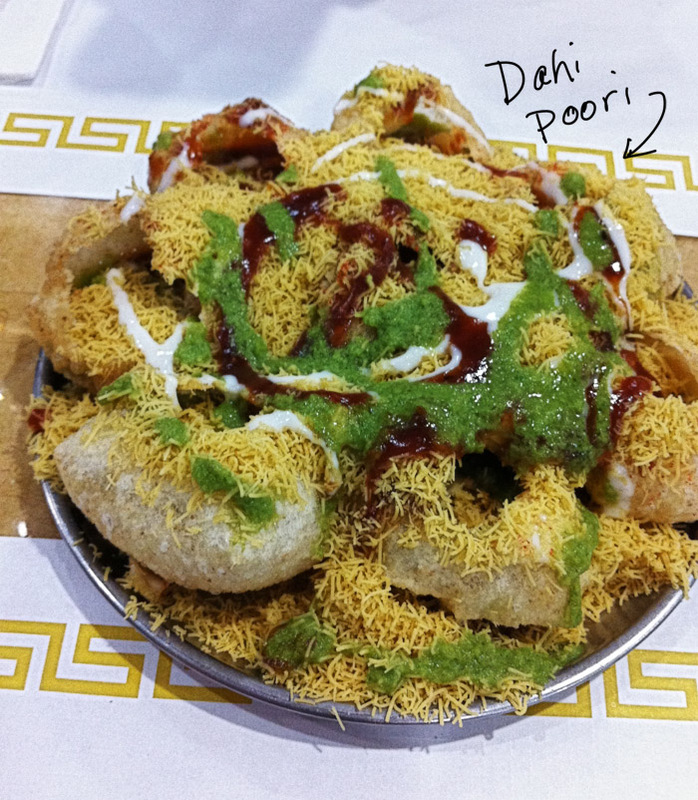 The Dahi Poori: these were crispy little buckets of the thinnest dough filled with chana, potato, tamarind and mint sauce. Upon biting into them, the savory and sweet filling ran into your mouth – a fine combination of flavor and texture. 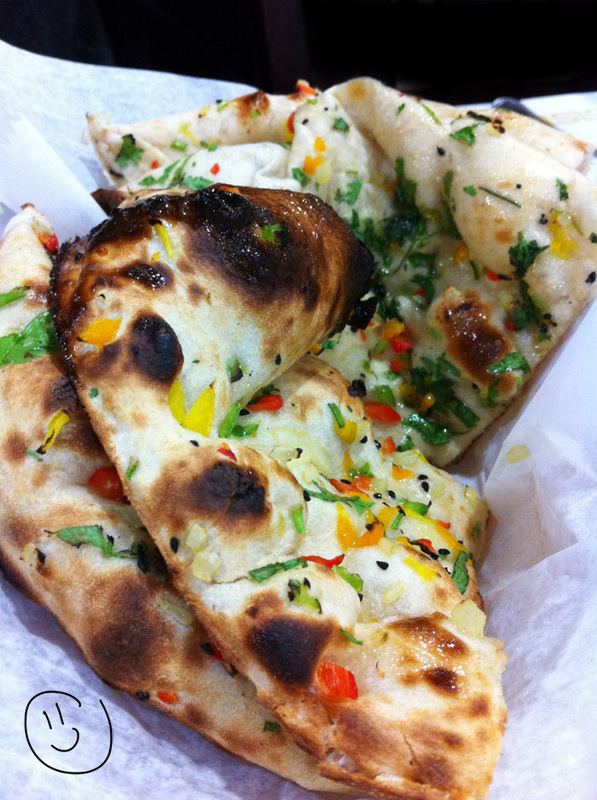 Onion Kulcha: White flour bread topped with onion, red bell pepper and cilantro and baked in a clay oven. This was like the Indian version of pizza. The dough was so soft and flavorful, I couldn’t get enough. And check out the char spots! Some Neapolitan pizzerias I know of should take note. 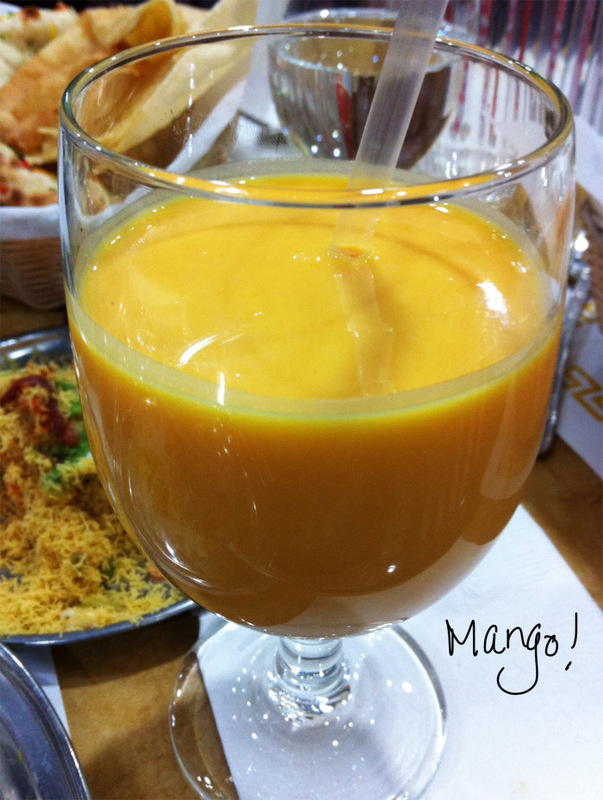 Mango Lassi: This was the mango flavored yogurt drink. I admit, I was skeptical of it at first. I don’t usually enjoy drinking yogurt. But I downed this thing mighty quickly. And would do it again. In conclusion, take a trip to the Jersey side for the Landmark Loews/Sapthagiri double feature. If you’re lucky, you’ll run into those very helpful patrons to point out all the tasty stuff (hint: everything! ).